If you’ve ever lived in a dorm room, a New York City apartment, a shed, or shared housing of any kind, you know how important it is to keep your things in their proper place. I’ve kept things in shoe boxes, gift boxes, plastic bags, folders, buckets and baskets, but those things will only last you so long. So why not toss them all into the recycling bin and head on over to the grand opening of The Container Store in Raleigh? I might even give you some money to spend. A great big congratulatory squeeze goes to Susan for winning the 500 business cards!!!!!! 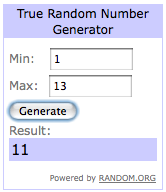 Lucky comment #11 has just paid off!! Hooray!!!!!!!! Y’all, all of those haikus were amazing, and did you see? Clay Aiken apparently came out of hiding just to enter! And Oprah too! Hey Oprah, have I got a book club book for you! Just give me another year or two to get it finished and published. 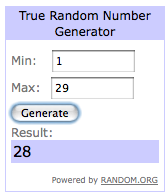 Anyhoe, thank you all so much for entering. This one was fun. I’ll try to get another fun contest going for you in another month or two, and in the meantime, we’ve still got plenty of pictures to post covering my fun times from March until now. Author bethPosted on August 31, 2010 August 31, 2010 Categories "celebrities"Tags GiveawaysLeave a comment on WE HAVE A WINNER!! Nothing says success and good luck like my natural happy face, now with more death in the eyes. We interrupt this contest for a special announcement. I’ve been waiting to make the formal announcement until after I’d told some people in person (or over the phone). I just didn’t want them to find out from the blog. And now that I think about it, probably 90% of my readers are those people, so for the other 10% of you who might not even know me and therefore don’t really care, this is for you? Bummed outedness. I love Asheville. Asheville is great. I love living in such proximity to downtown, I love walking around downtown, I love just being here, I LOVE waking up at 9 and not having to be anywhere most days until 6:30 p.m. And I’m just starting to make more friends and really feel at home, but I know this is the right move. Relief. I know I’m southern, and that it is therefore impolite, impertinent, unladylike and possibly dangerous to discuss my finances in such a public forum, but let’s be honest. I’m running out of money, and the job in Raleigh pays WAY better than it does here. It’s like lots of wealthy people have moved into Asheville from other places, driving the cost of living up, but the wages haven’t caught up yet. So I’m living at medium-sized city prices on small town wages. Excitement. Living here has, in one way or another, shown me what I really want out of a city, and it’s not that Raleigh doesn’t have those things. It’s just that I didn’t know I needed to find them before – things like a writing group, the quiet of nature, and a Trader Joe’s. (I knew how great TJ’s was before. I just took it for granted.) But now that I know what I’m looking for, I feel like I can go back and do things better than I did when I lived there before. Maybe I’ll even take that adult dance class I’m always talking about. I’m also excited that I get to hang out with all my buddies again regularly; I’ma Call You Josh (our Rock Band band) can get back together and go on a reunion tour. I’ll finally be able to save money again, perhaps to take a trip in 2011. I won’t have to drive 30 minutes to work every day. I won’t have to work four nights a week (just two). I won’t be so far away from everybody (2 hours to Wilmington, 4 to Asheville, 2.5 to WILKESBORO!!!! !, 5 to D.C., international airport just up the road). I’ll be back with an awesome group of co-workers and a great boss. I’ll definitely have to come up and visit Asheville a LOT now that I know people and love it (and now that I’ll be able to afford to do things here), so don’t you fret, Ashevillains. I won’t forget about you. You’ve all been great, and I’ll miss you. A lot. More than you know. And hey, if anyone knows of a place I can live in Raleigh for say…$400 a month around Wade Ave., Cameron Village or 5-Points, let me know. I could probably go as high as $500, but I’d rather not. And I would also consider places off of Tryon, Duraleigh or the Six Forks/Wake Forest Rd./Atlantic Ave. area. Nothing too shady or drunken college student-infested, please. I have to get up early for work. Now. Who’s going to take aerobic pole dancing classes with me? Author bethPosted on June 29, 2010 Categories dancing, ESL, friends, travelTags ESL, friends, Giveaways, life lessons, travel4 Comments on We interrupt this contest for a special announcement. Congratulations, Emily!!!!! 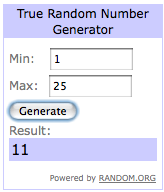 The winner has been notified by e-mail and has 24 hours to claim her prize. 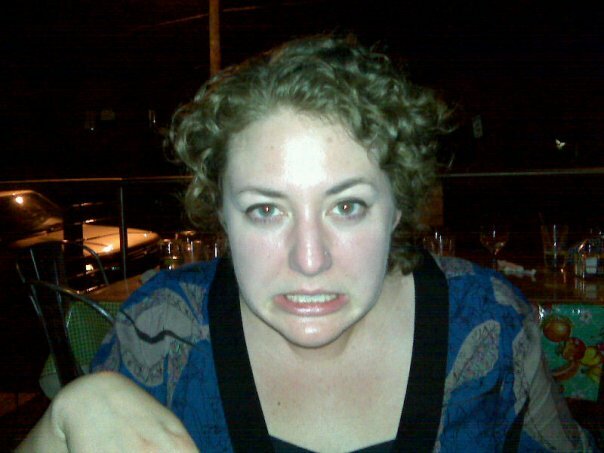 Should she fail to do so, random.org will pick another winner. I fully expect to receive a Guy Fawkes Day card now. Maybe Guy will have me in his thawts? Sorry. Inside joke. That’s a good story, though. Maybe I’ll tell it some day. Or Emily can tell it in her acceptance speech. Well we had to do a little finagling (long story), so the whole post about the postcard give-away has moved here, but you still have to come back here to post your comments, so if you already know the deal and just want to post comments, go here, but if you need to read about it first, go here, and then you can come back here from there. Clear? You have 24.5 more hours to participate. Hop to it.